Rainbow in lilac, pink, yellow and mint tones. To decorate walls, corners of children's rooms, office or work area. Very cute and great quality! Package was sent out quickly and only took about a week or two to get from Spain to U.S. I will most likely be purchasing from this shop again and would recommend it to my friends and family. Very pleased! Absolutely stunning item which we love. 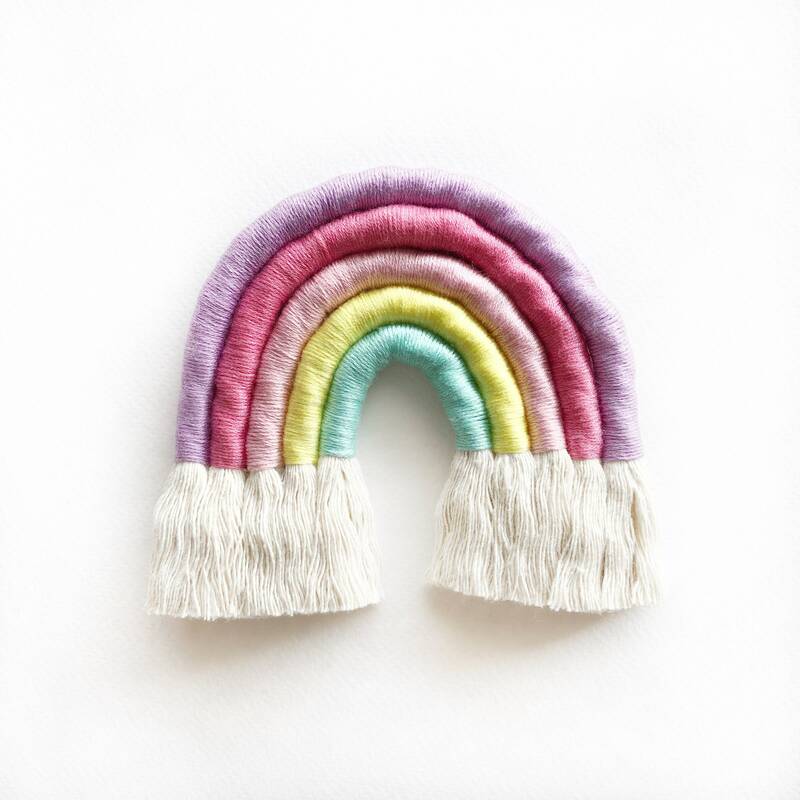 Adds joy and brightness to our little one's nursery. A rainbow for our rainbow baby.